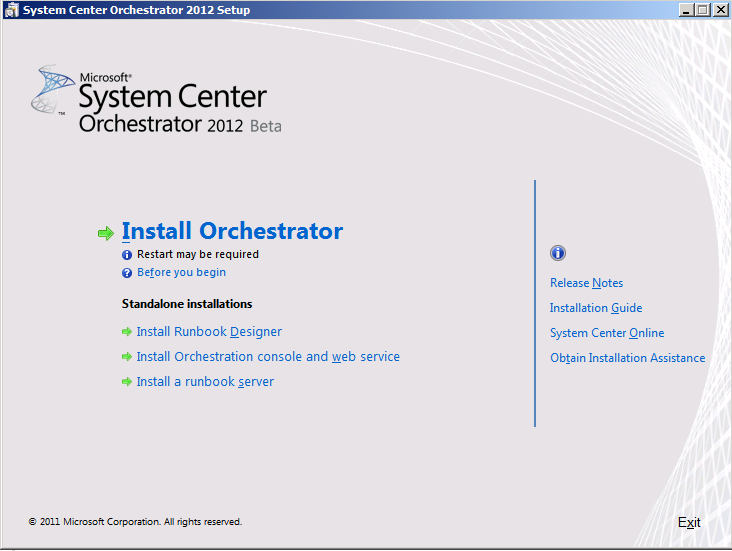 Welcome to the beta release of System Center Orchestrator 2012. Orchestrator provides orchestration, integration, and automation of IT processes through the creation of runbooks, enabling you to define and standardize best practices and improve operational efficiency. The following table lists the supported operating systems for Orchestrator. Ensure your computer meets the minimum system requirements. Add the user you are going to use as the Orchestrator service account to the local Administrators group on your computer. Enable the “Log on as a service” policy for the user. Log on to the computer where you are going to install Orchestrator as a user with administrative credentials. Open Server Manager. On the taskbar, click Start, right-click Computer, and then click Manage. In the navigation pane, expand Configuration, expand Local Users and Groups, and then click Groups. In the Groups list, right-click Administrators, and then click Properties. 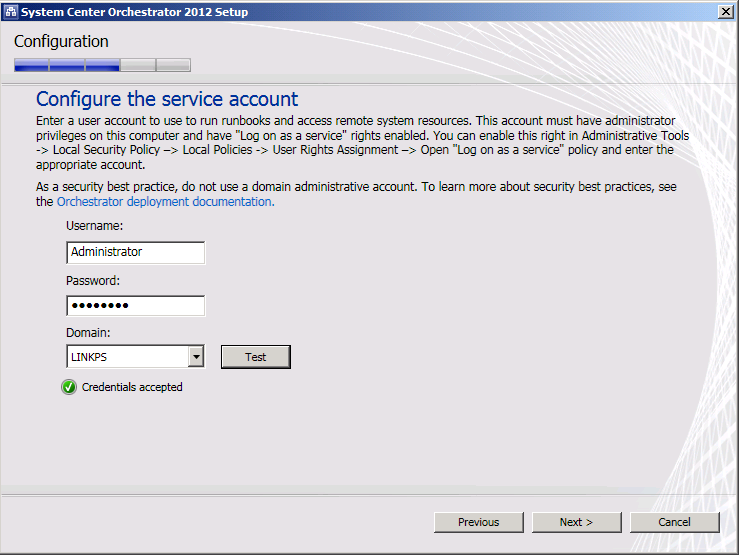 Enter the user account that you want to use as the Orchestrator service account, click OK, and then OK again. 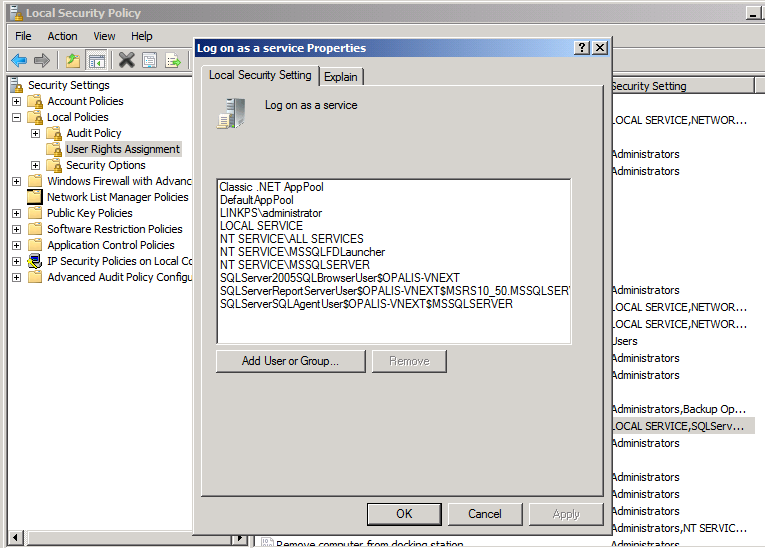 On the taskbar, click Start, point to Administrative Tools, and then click Local Security Policy. Expand Local Policies, and then click User Rights Assignment. Right-click Log on as a service, and then click Properties. Enter the user account that you are going to use as the service account, click OK and then OK again. 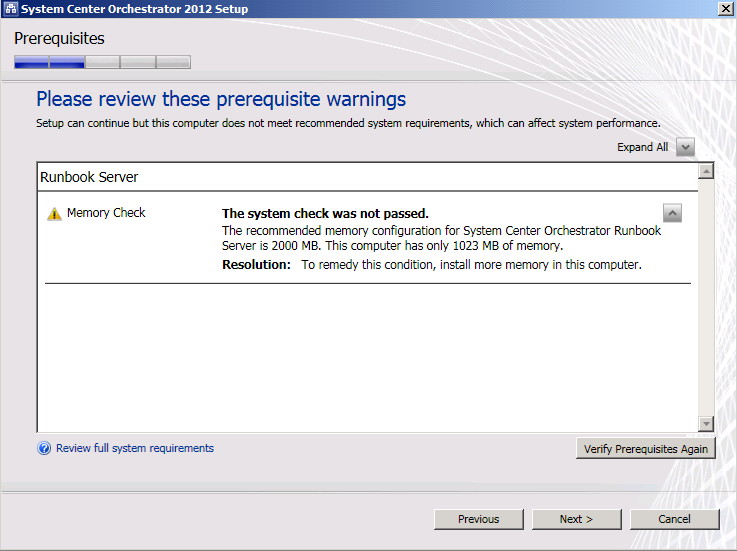 Use the following steps to install the beta version of System Center Orchestrator 2012. 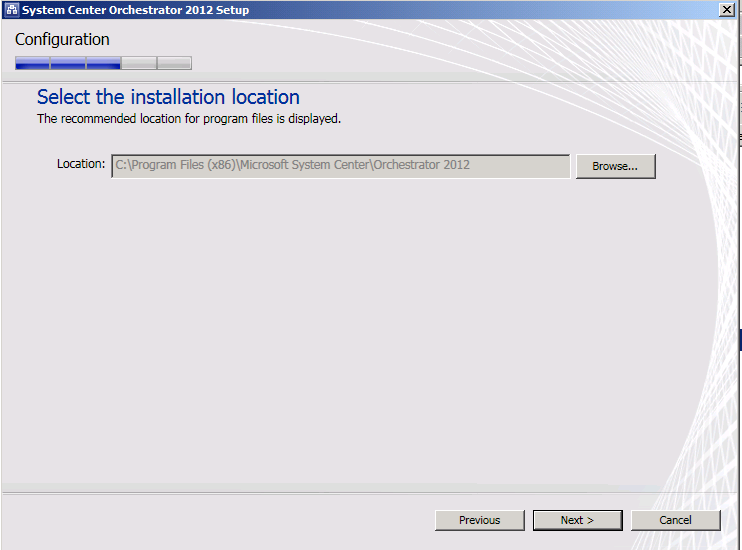 Double-click the SetupSCO.exe program to start the Setup wizard for System Center Orchestrator 2012. 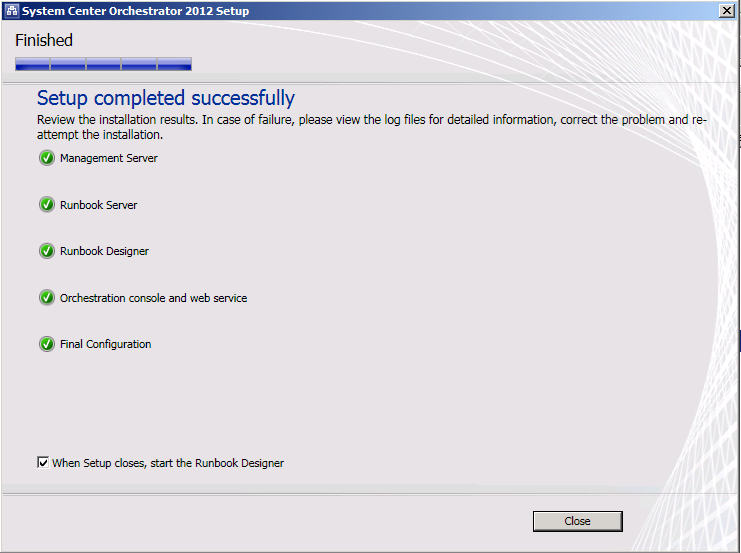 On the Welcome page of the Setup wizard, click Install Orchestrator. Provide a name and company information for the product registration. Review and accept the Microsoft Software License Terms, and then click Next. Select the features that you want to install. For this version, ensure that all features are selected, and then click Next. To view a description of each feature and the requirements for the feature, expand each section. Your computer is now checked for required hardware and software. If you meet all the requirements, you are taken directly to step 9. If not, proceed with the following steps. Review any items that did not pass the prerequisite check. For some requirements, such as Microsoft .NET Framework 4, you can use the link provided in the Setup wizard to install the missing requirement. Others, such as Windows PowerShell or the Internet Information Services (IIS) role, can be installed or configured by Setup. After you address any missing prerequisites, click Verify Prerequisites Again. 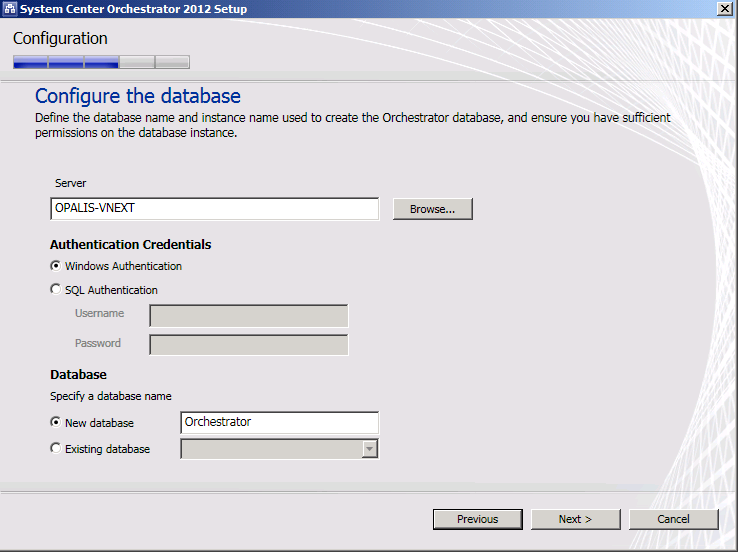 Enter the user name and password for the Orchestrator service account. This account is used to run runbooks and access remote resources. For more information about this account and how it is used, see How to Prepare your Computer for System Center Orchestrator. Enter the name of the server and the name of the instance of SQL Server that you want to use for Orchestrator. You can also specify whether to use Windows Authentication or SQL Server Authentication, and whether to create a new database or use an existing database. Click Next. 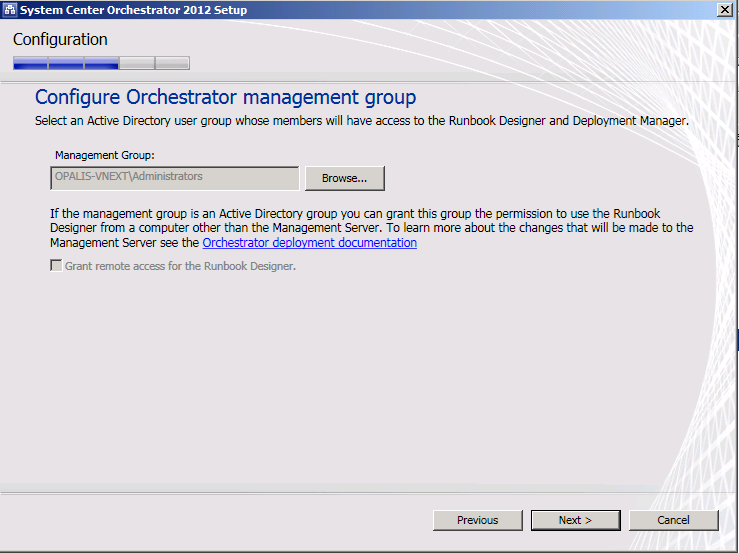 Enter the name of the local or Active Directory user group that will be used to manage Orchestrator. For more information about this user group and how it is used, see Understanding the System Center Orchestrator Management Group. If you want to enable the user account or group to access the Runbook Designer remotely, select that option. 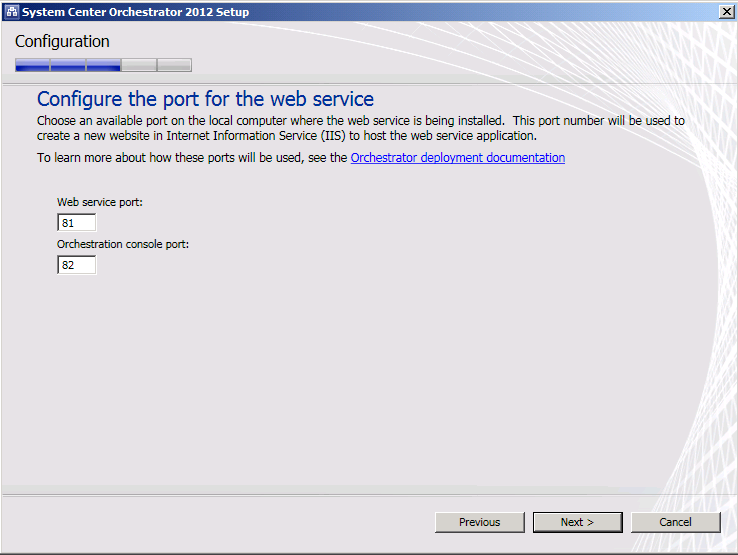 Enter the port numbers that you want to use for the Orchestration console and the web service. By default these are 81 and 82, respectively. Click Next. 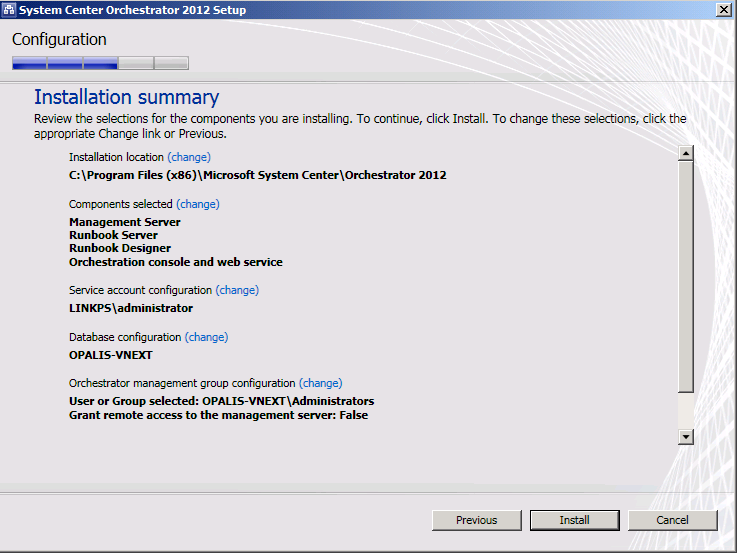 Enter the installation location for Orchestrator. 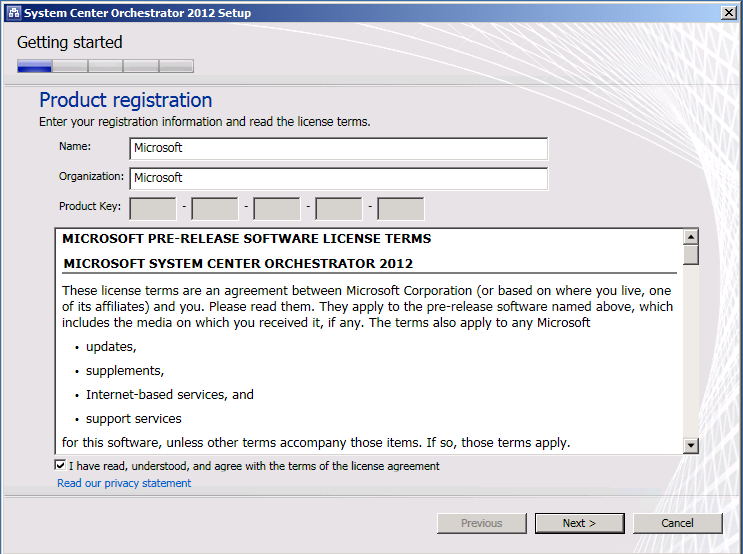 The default location is C:\Program Files(x86)\Microsoft System Center\Orchestrator 2012. Click Next. Review the installation summary. If you have to make any changes, click Previous. To proceed with the installation, click Install. If the installation finishes successfully, you can select to start the Runbook Designer automatically, and then click Close. If installation does not finish successfully, review the features that did not install. View the log files for each feature to identify any issues. Resolve the issues, and then run the Setup wizard again. Orchestrator provides orchestration, integration, and automation of IT processes through the creation of runbooks, enabling you to define and standardize best practices and improve operational efficiency. CEP Program provides IT professionals a structured approach to evaluating System Center Orchestrator 2012 product before their final release. Members of this program are able to evaluate early versions of products with guidance from the product team and by sharing of experiences and best practices among a community of peers. After you have applied and been accepted to a program, you will be invited to a product specific site on Connect. It is important to note that although a program may have started in the past, applicants will continue to be accepted and simply asked to catch up on the materials that have been previously published.